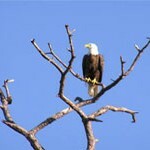 Please contact the Bodie’s to make arrangements before visiting. 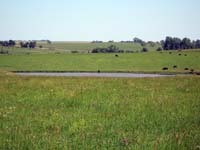 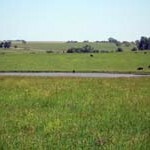 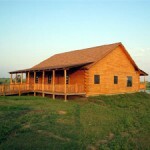 Big Blue Ranch & Lodge is a 2000+ acre working ranch in Pawnee County near Burchard. 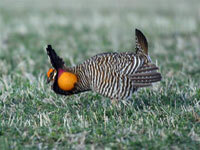 This area is known for Greater Prairie-Chickens, which may be seen and heard booming on several hilltop leks on the ranch. 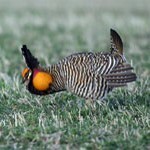 April is the best time to experience their courtship rituals. 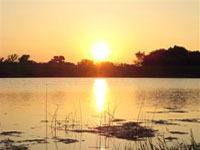 With a 20-acre lake and an abundance of grassland and woodland habitat, a good variety of other birds may be observed as well including Bald Eagles, Bobolinks, Henslow’s Sparrow and other grassland songbirds, and a variety of waterfowl and waterbirds. 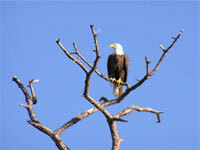 Check out the bird lists on their website. 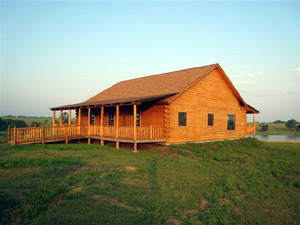 The ranch has primitive trails that are open for exploring to guests of the Lodge. 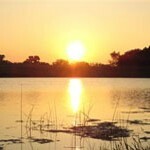 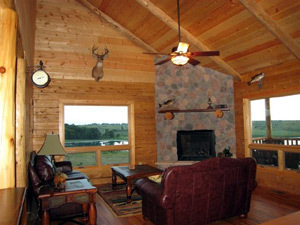 In addition to the fully-equipped lodge, semi-guided Greater Prairie-Chicken tours and birdwatching opportunities, the site boasts fishing and canoeing on the private lake, ranch adventures like trail rides, hay rack rides and ranch tours/demonstrations, as well as deer and turkey viewing or hunting. 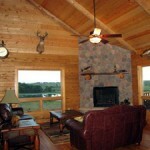 Please visit their website for more information and to arrange your visit.